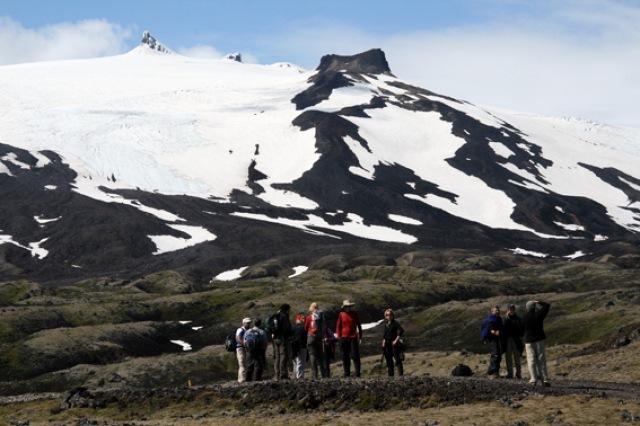 Terrain: Lava field, volcanic rock, snow and glacier. 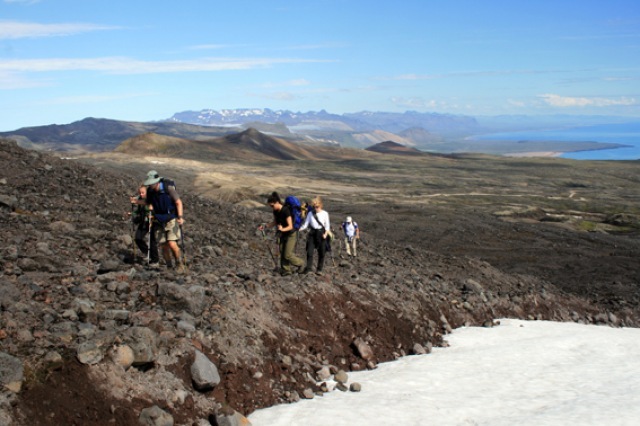 A great hike to the top Iceland’s most famous glacier and volcano. 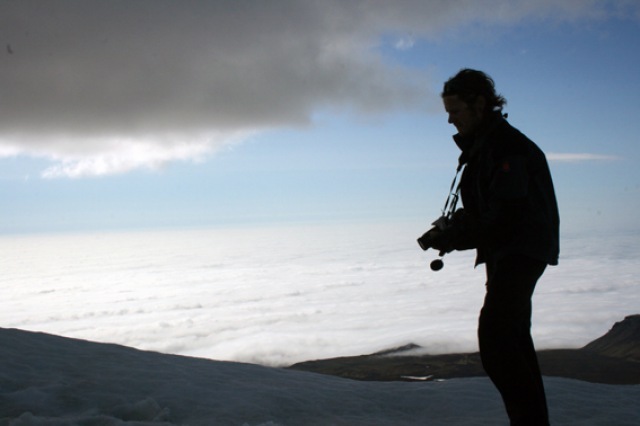 The glacier has crevasses so a mountain guide and the right equipment are obligatory. The route down offers great skiing in the spring. Average ascend time: 3-5 hours. Total average trip time: 5-7 hours. Trip difficulty: 3+ of 5 possible. Challenging. 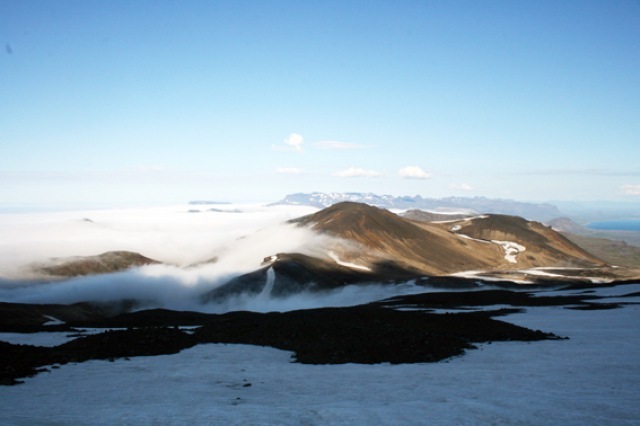 The Snæfellsjökull glacier is one of the most picturesque mountains in Iceland, rising up 1450 meters from the middle of the Snæfellsnes peninsula this famous volcano is clearly visible more then 100 km away. 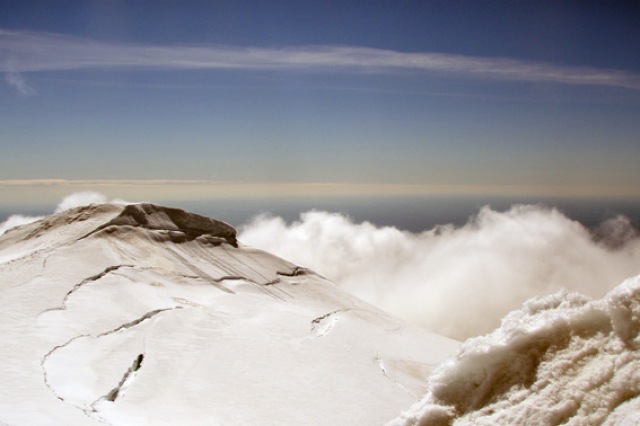 Many have written poems about its grandeur and shining white coat of ice and snow. 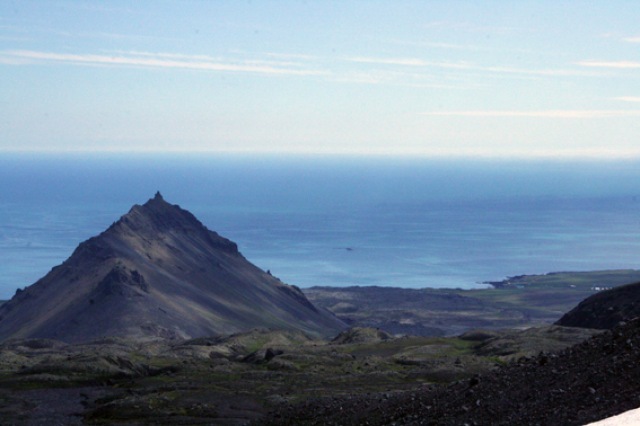 The most famous literature about Snæfellsjökull is undoubtedly Jules’s Vernes novel “Journey to the center of the Earth” where the entrance to the center was through a caldera at the top it. 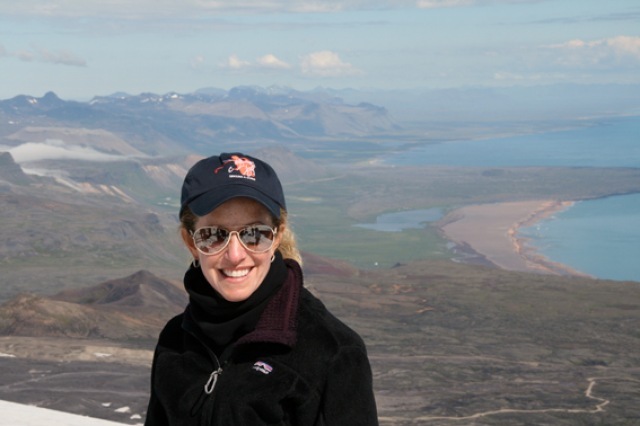 Everything about this trip is an amazing adventure; even the drive to the start of the hike offers breathtaking views only surpassed by the vistas from the slopes and the peak. On clear days the whole Vestfjord peninsula is visible, beyond the North Atlantic ocean the shores of Greenland can be glimpsed and the peninsula it self with its amazing mountains and beaches are sights never forgotten. 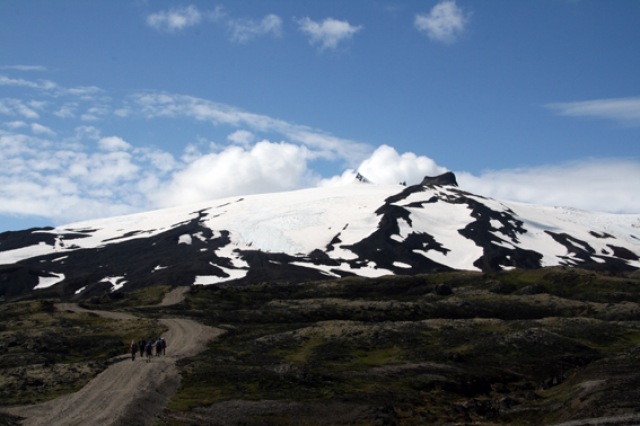 This is one of the very best glacier hikes in the world…! 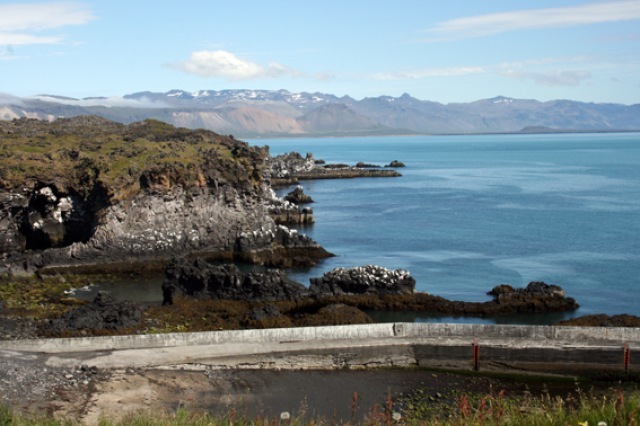 After the hike we drive down to the sheer ocean cliffs of Arnarstapi and stroll down to the Hellnar alcove for a delicious Icelandic fish soup in a tiny fishing hut a few meters from the relentless surf and pounding of the sea. Available from April to September (depending of weather). Distance from Reykjavik: ca. 180 km. Duration of trip: 12 hours. 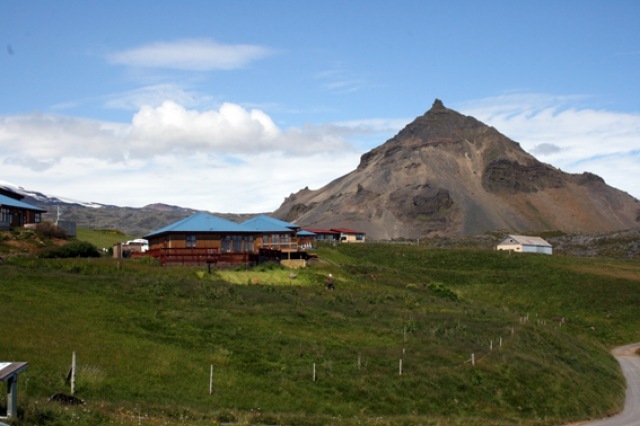 Included: Guiding and all necessary glacial gear, sight seeing at Arnarstapi village and fish soup at Fjöruhúsið. Bring with you: see the equipment list. 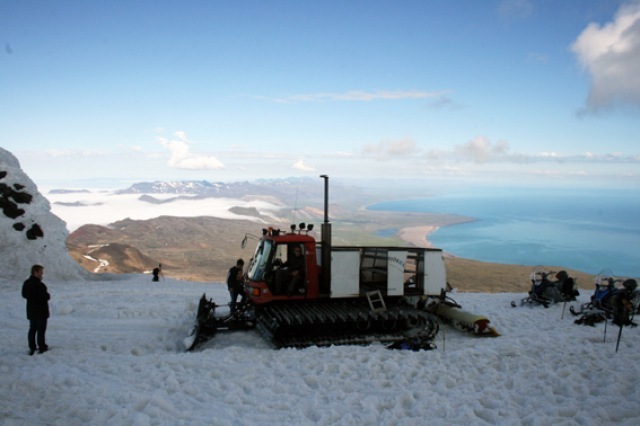 Trip starts at approx 08:00 AM if leaving from Reykjavik, 10:30 from the base of the mountain. We reserve the right to postpone or cancel trips due to weather or other factors out side our control.